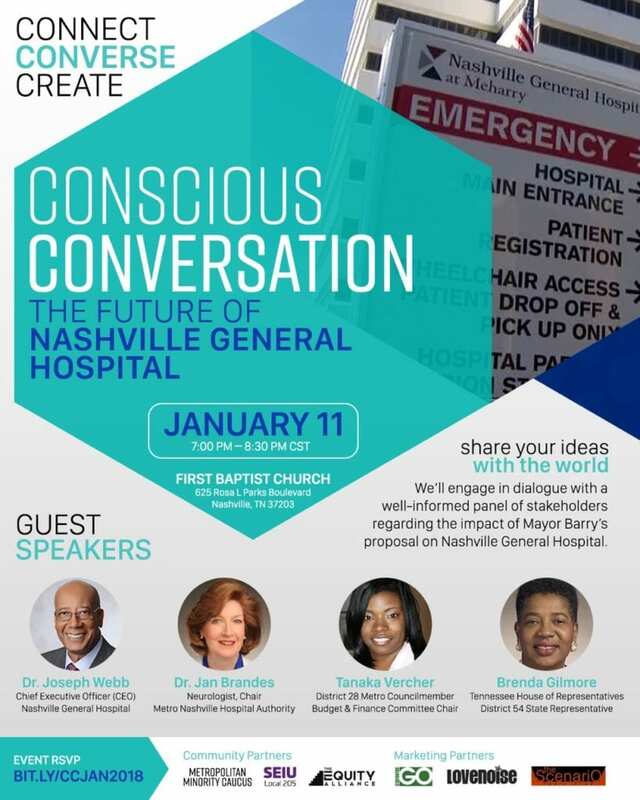 NASHVILLE, TN January 5 – In response to widespread community concerns, Conscious Conversation will host a community discussion that focuses on Nashville General Hospital. 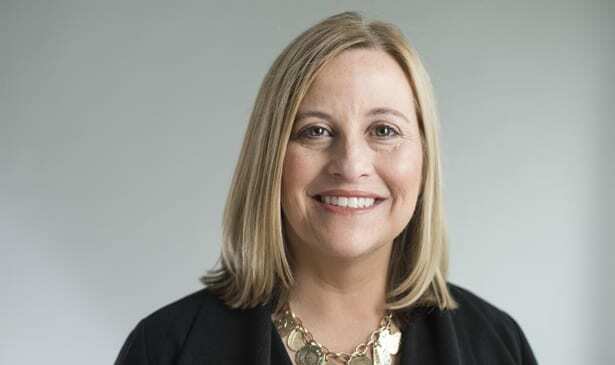 This event will consist of a panel-led discussion on the future of Nashville General Hospital in relation to Mayor Megan Barry’s proposal to eliminate in- patient care at the facility. The event will take place on Thursday, January 11 at First Baptist Church Capitol Hill (625 Rosa L. Parks Blvd. ), from 7:00 to 8:30 p.m. The event is free and open to the public (RSVP at www.consciousconversation.co/events). The event will be held in partnership with the Nashville Metro Council Minority Caucus, The Equity Alliance, and SEIU Local 205. More than 100 local community members are expected to attend what is being considered a potentially engaging and informative discussion. “This is a wonderful opportunity to engage in thoughtful conversation with the citizens of Nashville about their hospital, Metro Nashville General,” said Erica Gilmore, Nashville Metro Councilmember At-Large. For more information, email info@consciousconversation.co, or visit www.consciousconversation.co/events. Conscious Conversation is a group focused on galvanizing the general public around issues of community and economic development in metropolitan communities. Our efforts are concentrated in three main areas: Connect – to bring the community together, facilitate networking, and generate synergy amongst like-minded individuals; Converse – to engage in healthy dialogue on issues that plague downtrodden communities; and Create – to formulate strategies leading to collective action on identified issues. We welcome you to visit us online at www.consciousconversation.co or follow us on Facebook, Instagram and Twitter.